We love sharing our passion for helping planners engage the public in building better places. We especially love hearing your stories, feedback, and ideas - so let’s get together! UIS will be at three conferences during the upcoming weeks. Mark your calendar to come and learn about the tools we offer - and take your online public engagement efforts to the next level. First up - change the way you think about pedestrian wayfinding! The annual conference by Downtown Colorado, Inc. in Grand Junction is debuting a brand new conference format and UIS will discuss online engagement on-the-go and our Reply Here! strategy in an interactive workshop together with out friends at Britina Design Group. This in-depth session starts with a short presentation, open discussion, and will feature a prototyping charrette to ensure that everyone comes away with action items for improving their revitalization strategies. It’s a whole new way to experience a conference, and we hope to see you there! Are you like the many public participation practitioners that have questions about the role of online technologies in the planning space? Wondering what tools are right for the job, how much to spend, and what factors to consider when looking for a vendor? 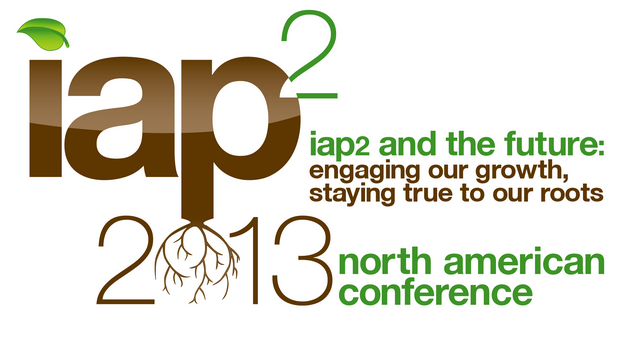 Join us at the IAP2 North American Conference in Salt Lake City, where we will present as part of a panel titled Navigating the P2 Tech Space. We’ll address those questions and others, in conjunction with a great team of tech/public engagement experts. Then, come see us at the Technology Fair - we’ll have live demonstrations and case studies to show you how our offerings can help you make your next public engagement project phenomenal. Finally, we’ll be covering walkability and wayfinding at APA Colorado’s annual conference in Vail. Come hear about how a combination of urban design, effective signage, and digital tools can provide a great pedestrian experience and strengthen your local economy. That’s just our talk on Friday - the conference will also feature a huge variety of relevant urban issues. You won’t want to miss it! If you're a Drupal Developer passionate about Livable Cities, get in touch! If you know somebody who'd be a great fit for our team, please forward. People are mobile. Shouldn’t your public engagement strategy be too? There is promise that mobile technology is a difference-maker in getting people to participate in public projects because it meets them where they are - whether in the coffee shop, at the park, or passing by a construction site. Mobile engagement allows you to reach people in that moment when they are actually thinking about your planning project and how it will affect them. But planners and leaders often struggle with how to implement mobile strategies in meaningful ways that draw the most participation. It’s not enough to just announce on your website that you have a mobile app - creative strategies are needed to reach people on-the-go, sparking curiosity and enticing people to pull out their smartphones and get involved. That’s why UIS is excited to host a webinar for two dynamic organizations - the International Association of Public Participation and Engaging Cities - a webinar that will equip you to create experiences that make participation fun and easy for your audience. You’ll learn how users can become engaged through a mixture of discovery, games, signage, and print materials as the connections to mobile apps and technology. Registration is open now, so sign up here and join us on August 14th for an hour of valuable tips from the mobile engagement experts! Your public will thank you for it.